Does this image look somewhat familiar? You might have seen it on Facebook or a blog or a video. 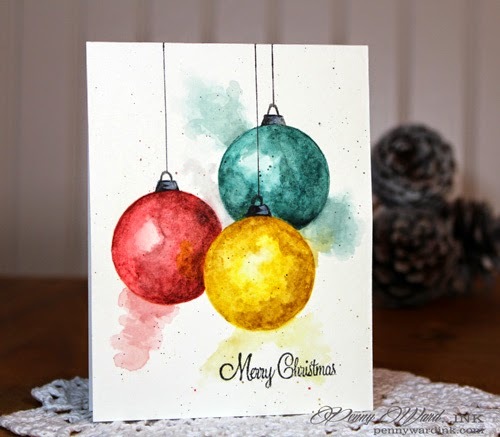 Miss Dawn over at W Plus 9 did an instruction video last week on watercoloring Christmas ornaments. She did such a gorgeous job, that I had to give it a try. I did not have her stamp unfortunately, so I made do with a round stamp and drew in the tops to my ornaments. The card above is one layer (especially hard for me), and I love how it turned out somewhat close to hers. 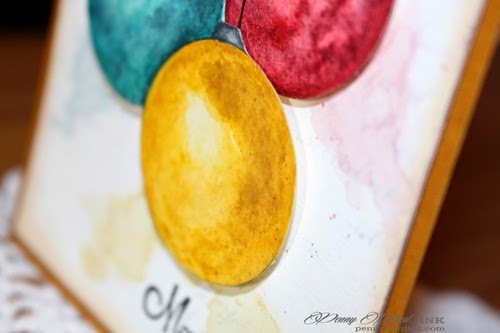 I just recently purchased my watercolors, so of course I am just learning and her video was FANTASTIC!!!! 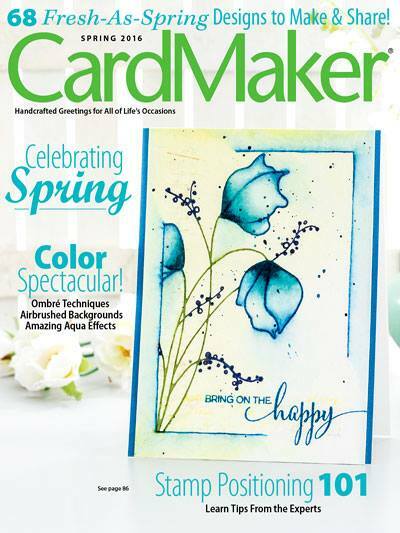 The name of her video is "When Watercolors go Wrong"...I didn't get it, as I think her coloring and card are beyond GORGEOUS!!! I really messed this one up while coloring, so I cut out the trio of ornaments. 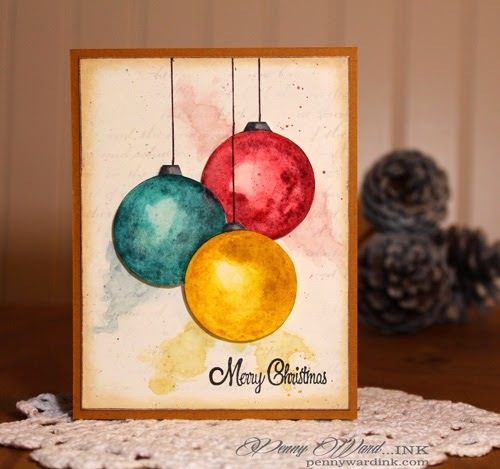 The background has been stamped with script lettering, gesso to tone it down, then ornaments popped up with foam adhesive. Gorgeous Penny! I think you have the hang of it! Have a great day. Your ornament card is beautiful. I really want to try this.